The Cloverdale Rodeo is a 4-Day Event in Cloverdale which features the Rodeo and a Country Fair. The Association is also responsible for the year-round management of the eight facilities on the Cloverdale Fairgrounds that host over 1,000 events annually, including trade shows, concerts, festivals, sporting events, horse and dog shows, swap meets, night markets, flea markets, weddings and meetings. 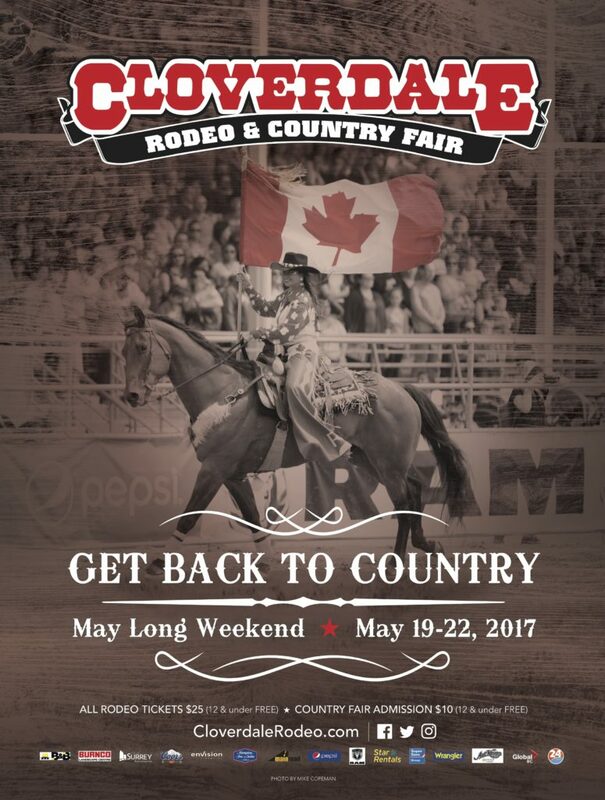 For more information on the Association and the 71st annual Cloverdale Rodeo and the 129th Country Fair, visit www.CloverdaleRodeo.com. Looking for plans on Friday nights? Join us for an evening filled with family-fun at recreation facilities in Cloverdale! Join us for winter crafts and activities. Dress in your coziest jammies for a movie and popcorn. Enjoy a night of everything green, as well as crafts and cookie decorating. Play in the bouncy castle and participate in games and crafts. Join us for delicious DIY fruit smoothies and play with the mini gym equipment. Bring your pillow and blanket for a movie and popcorn night. A new tradition for the whole family, the Clayton Community Farmer’s Market at Clayton Heights Secondary will showcase local farmers, artisans & musicians. Join us every other Sunday between May 13 and Sep 16, 2018 from 10am to 3pm at Clayton Heights Secondary School. We will have a Family Fun Zone, Food Trucks, and Live Music too!